1) Place 1 cup water inside the insert pot. 2) Place trivet inside pot. 3) Put hardened brown sugar in Pyrex glass bowl, cover with aluminum foil and place on top of trivet in pot. 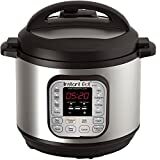 4) Seal Instant Pot, Manual/Pressure Cook for 1 minute. Quick Release. Done! Softened Brown Sugar Ready to Use! *Post contains Amazon Affiliates links. If you purchase from my link I will receive a small commission. Thank you for your support! 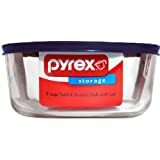 And if you don't have a pyrex bowl?? Any microwave-safe bowl should do.